Walt Frasier is available as a professional actor, comedian and singer available for screen, stage or private events. CORPORATE TEAM BUILDING - Improv Workshop throw your team into the spot light as they star in their own comedy show. More advanced workshops include role play activities focused on key elements for your work environment. Great way to enhance team relations and communications as well as public speaking, service and sales skills. PERFORMING ARTS GROUPS - Improv is an essential tool for any performing artists. Regardless of the age or skill level, Improv will help you develop your characters and ability to transform a script into a performance. Every actor in NYC should be doing Improv. Casting Directors for TV and Commercials looking more and more to Improv Companies for talent. K-12 Schools - Improv is a great tool in helping develop young minds and preparing them for the real world. We focus on communication skills such as eye contact, speaking clearly and listening to scene partners as well as creative thinking. Book a workshop with a show to enhance the learning experience by watching the professionals. EIGHT IS NEVER ENOUGH & IMPROV 4 KIDS play regularly in Times Square and tour nationwide! Walter brings over 20 years of professional performance and produciton experience to the project including stage directing (High School, College & Professional), production, casting, writing and composing. Bring Mr. Frasier in to direct your next theaterical work or help get your production out of the head, off of the script and onto the stage. Classics & Modern, Plays & Musicals, Sketch & Cabaret. Looking for your favorite celebrity to brighten up your event. How about Elvis, THE BLUES BROTHERS, Abbott & Costello, Woody Allen ... well at least fun representations of these and many more greats. Also we provide troups of performers to play greco/roman, hippies, gangsters, characters from favortie movies/TV shows and more. Need Santa, Mrs. Claus, Carolers, Elves, The Grinch or other popular Holiday Characters. How about some Stand-Up or Improv comedy to get the party going? 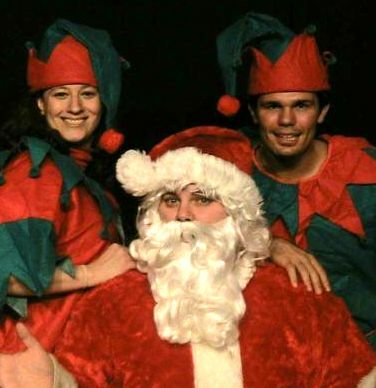 How about an Improv 4 Kids show with holiday character cameos? 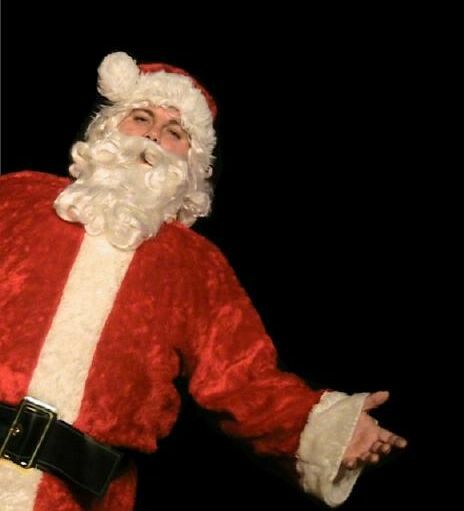 How about our Murder Mystery show "WHO KILLED SANTA" featuring BAD SANTA and our Woody Allen-like NYC detective. Santa with Brooklyn Borough President Marty Markowitz at Fort Green charity event. Also events for Morgan Stanley, Helmsley Hotels, and other top NYC companies.